There are days which the words just don’t seem the flow from the pen; and there are others during which the keyboard won’t move fast enough to keep up with my speeding mind. Either way- there is a desire to write; something I am not often without. Today- sadly- is one of those days. I’d rather not write under these circumstances, but to not would be to deny a true public servant what he is due. 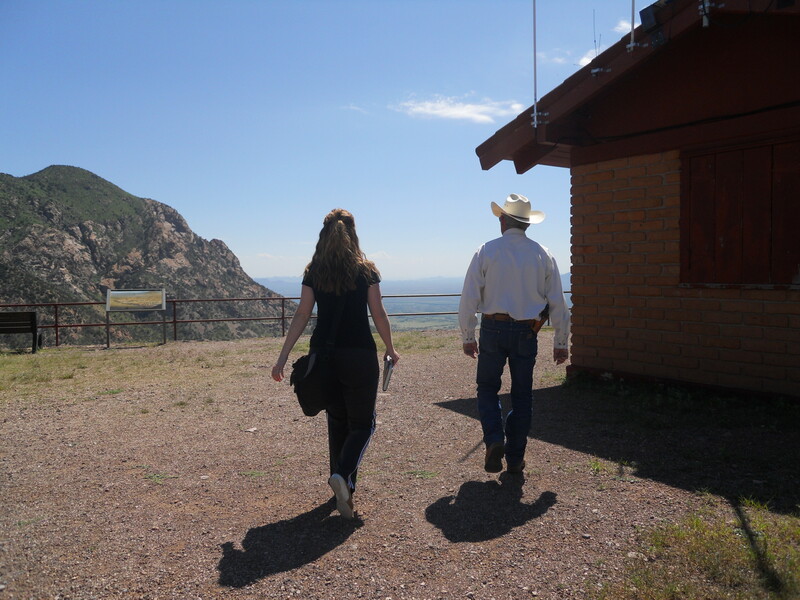 Starting this past summer, I had the opportunity to get to know Sheriff Larry Dever of Cochise County, Arizona, as I began an investigative project of the US-Mexico Border. I started with a source, and ended up with a mentor. Sheriff Larry Dever was involved in a one vehicle accident near the town of Williams on Tuesday September 18, 2012 at approximately 7:00 pm. As a result of this accident Sheriff Dever was fatally wounded and did not survive. The Coconino County Sheriff’s Office is in charge of the investigation. The Dever family is aware that many will want to make contact with the family to express their condolences, however, they request that no calls be made to them at their personal residence. The Cochise County Sheriff’s Office will relay all messages to the family directly. God bless the Dever family. Dumbfounded- I read it again. We are surrounded by death on a daily basis- it is nothing new. Yet each time it occurs we are taken by surprise- especially when it happens in so tragic a manner. This man had been in law enforcement for over half his life, and had survived the perils that his job involved; even carrying with him a constant reminder of his encounters: the scars on his face from a shootout in the 1980s. Beyond that, his position in the state of Arizona (both geographically and politically) didn’t exactly make him popular with the smugglers relentlessly trying to cross the border into Cochise Country. Yet, it was a terrible car accident that would take his life. -Organized, developed and directed the Sheriff’s Department’s S.W.A.T. and Search and Rescue Teams. -Organized and directed a multi-agency federal, state and local Counter Narcotics unit. -Developed and supported the implementation of the very successful Sheriff’s Assist Team using trained volunteers to support the Sheriff’s Department in the county. Dever also testified before Congress on various occasions and participated in other national immigration discussions with the hope that in doing so, the debate concerning the reality of our porous border would continue. I expected to be driven down to the fence to take a look, and call it a day. I found out, however, that when Larry Dever makes a promise, he keeps it and THEN some. We drove all the way to the top of Coronado to survey the situation from nearly 6,000 feet; we drove all the way back down to the fence and walked along it as he explained each portion. We took hours. We arrived back at his office, and for a moment he disappeared. 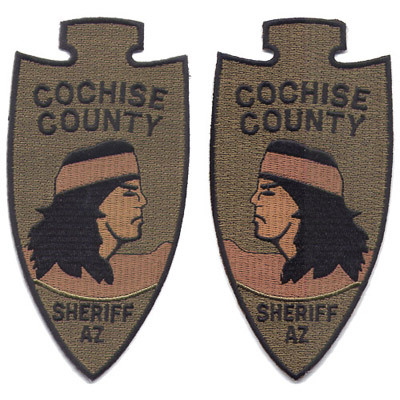 He came back carrying two uniform patches from Cochise County, which he gave to my husband and I as a gift. I was so touched- we had come and taken of HIS time, and yet he wanted to give us something to remember our experience. I started with a source- and ended up with a mentor. So sorry to read this sad news. Our country has lost a Great American Patriot. May our Lord and Saviour comfort you on the loss of your friend. Thanks, Bev. It was a real shock- the nation lost a good man. What a lovely tribute to a friend and mentor. I am sure he and his family appreciate this greatly, Mary. May he rest in peace, and may you never forget the valuable lessons he taught you.